Menthol oil stimulates the cold receptors of skin and it is used for the cooling sensation it provides every time it is inhaled and applied to the skin. The cooling effect actually brings in a sensation of temperature change on the skin but it doesn't actually change the temperature, it is just a feeling. Menthol oil is soothing and refreshing and it helps a great deal in getting rid of nausea during pregnancy. Morning sickness during pregnancy can be treated well with menthol oil but make sure that usage is done under the guidance of a qualified physician. Menthol oil is used effectively for treating stress and this is because of the basic refreshing nature of this oil in relieving depression, anxiety and mental exhaustion to a great extent. A light massage with menthol oil on forehead effectively gets rid of restlessness and anxiety. Menthol oil is widely used for dental care products like toothpastes and mouth washes and it helps in treating bad breath and this is mainly because of the refreshing fragrance of menthol. Menthol oil protects gums against germs and is widely used in different kinds of oral care products because the germs are the one's which creates problems inside the mouth and create bad breath. Menthol oil is used for the treatment of respiratory problem and this can be done by adding few drops into a mug of boiling water and inhaled. The steam clears the nasal congestion and accumulated cough and cold and clears the respiratory tract. Menthol oil is also used to treat sinusitis, asthma and bronchitis. Most of the cold rubs all over the world consists of menthol oil because it clears congestion almost instantly but remember that this is not permanent treatment for the respiratory problem. The cooling effect of menthol oil makes it an important ingredient in various skin and hair care products. It is widely used for skin issues like dull skin and skin irritation and also for the treatment of dandruff and lice. 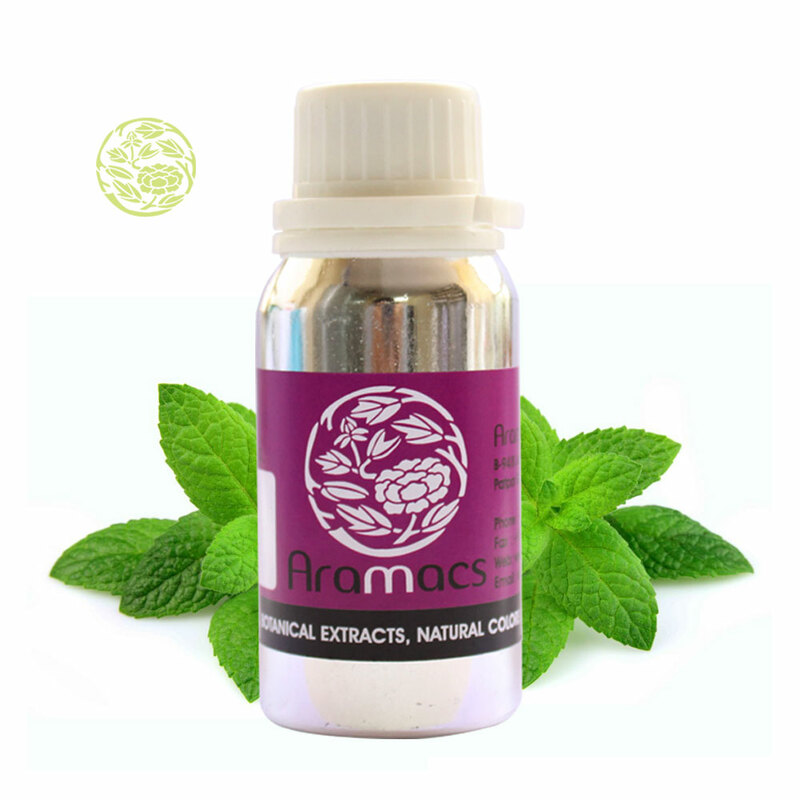 Menthol is an organic compound made synthetically or extracted from corn mint, peppermint or other mint oils. Menthol is a waxy crystal like substance clear or white in colour and it is solid at room temperature and melts slight above the room temperature. Menthol has local anaesthetic and counters irritating qualities and is widely used to relieve minor throat irritation. 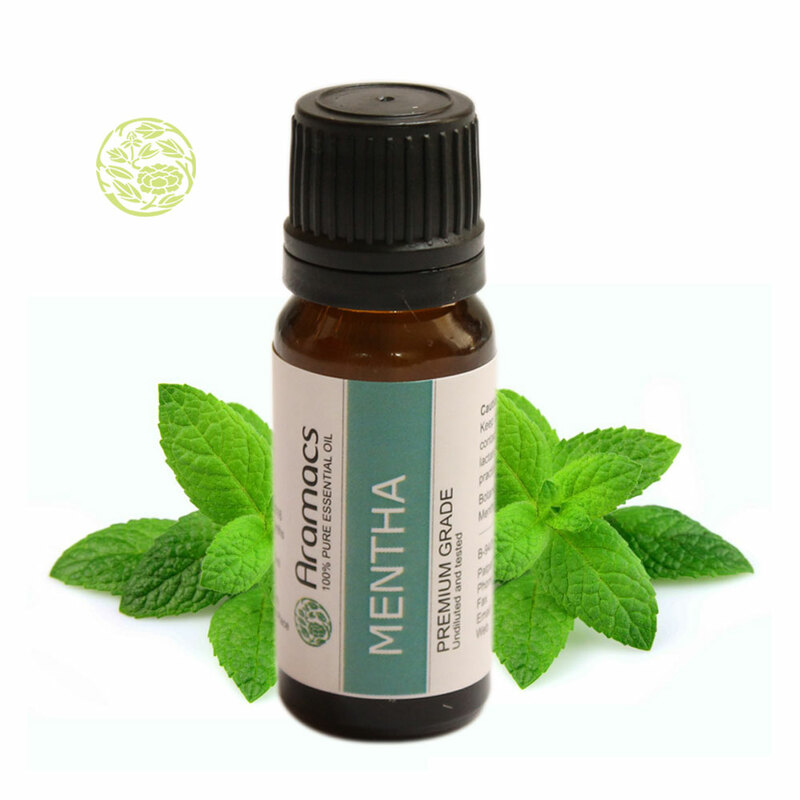 Mentha arvensis is the main species of mint used to make natural menthol crystals and natural menthol flakes. This species of mint is grown in India in the state of Uttar Pradesh. 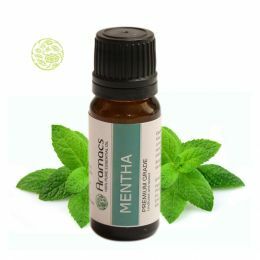 (−)-Menthol occurs naturally in peppermint oil (along with a little menthone, the ester menthyl acetate and other compounds), obtained from Mentha x piperita. Japanese menthol also contains a small percentage of the 1-epimer, (+)-neomenthol. The TRPM8 receptors in menthol gives you the cold sensitive feel when inhaled, eaten or applied on the skin. TRPM8 is similar to the capsaicin which is the chemical responsible for the spiciness of hot chillies. Hot chillies also boost the heat sensors without actually changing the temperature. Menthol is derived from peppermint oil or other types of the mint family and there are more than 650 species of the mint plant which grows in the temperate zones of the planet. Menthol has been is use as a medicinal remedy for more than 3000 years and it started with the ancient Greeks and Egyptians who thought that it could provide clarity of thought and rouse the passions. Mint plant offers its menthol properties to many sweets and even mouthwash, cigarettes and culinary creations. Menthols' medicinal properties are more popular than any other properties and in tea it helps to cleanse the liver and reduce occurrence of kidney stones. Menthol oil cleanses skin blemishes like acne and also eliminates the facial twitch and spasms. It suppresses nervousness and reduces stress and depressions. It is widely used in cough medicines and lip balms and to relieve sore throats. Menthol oil is used as a common addition to chloroform sprays and for the relief of localized pain. The oil is known for its anti-viral properties to fight herpes and other viruses. Menthol oil acts as a topical analgesic and relieves problems like headaches, migraines, muscle cramps and minor sprains. It also helps in reducing muscle and joint inflammations. Menthol oil is used effectively for the treatment of sunburns and other burns to the skin, skin rashes, poison ivy, itching, athlete's foot etc. Travellers by air use this against motion sickness and jetlag and this is the ideal first aid to reduce high fever on children and this can be done by applying it to children's foreheads. Menthol oil is used widely on female sexual dysfunction creams and gels and here it acts as a vasodilator and neuro-stimulant.